Kevin joined Invistec in 2017 after more than 10 years’ experience working in both landscape architecture consulting and landscape construction. This dual background makes Kevin a strong designer, as he understands how the decisions made at the design phase impact the construction site and vice versa. 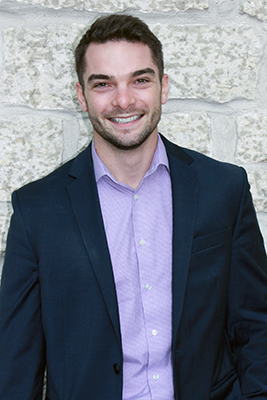 In addition, Kevin possesses a Bachelor Degree in Landscape and Urbanism, as well as a Masters Degree in Landscape Architecture, both from the University of Manitoba. During his previous experience, Kevin worked on projects at a variety of scales, from complex municipal transit projects, to custom estate yards; effectively giving him a vast spectrum of landscape architecture experience. Now, Kevin leads the Landscape Architecture Department at Invistec and is building a name for both himself and the company in the industry through his innovative thinking and design efficiency. In each design Kevin ensures a strong balance between fiscal responsibility and design creativity while always encompassing a respect for the natural environment. Kevin’s design principles look to include landscape drainage systems within engineering grading concepts, incorporating naturalized and edible landscapes within parks and open spaces, and creating community-oriented projects for all ages.